Wooden shoe slippers… Who hasn’t seen them in the touristic hotspots in Holland? For years Nijhuis Klompen is producer and market leader of these wooden shoe slippers. 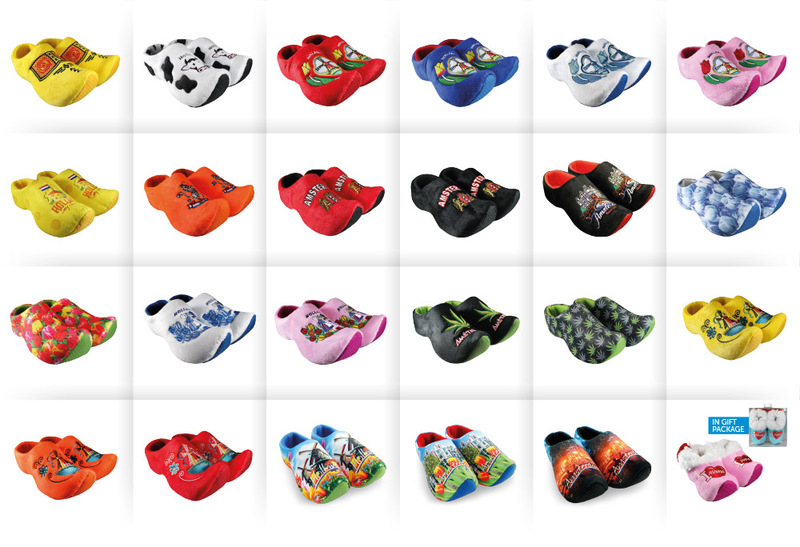 Nice and warm for your feet, easy to carry and available in 23 designs. And also available in typical Dutch full colour print. All off our decorations are on stock in all sizes. It’s also possible to order our slippers with a custom embroidery design (from 150 pairs). Beautiful as an own design in your collection or as a relation gift for your customers. Our sales-team is available to inform you about the possibilities.